If it has been successfully hacking,Being attacked by the same person has completely ruined the gaming experience.this is very ridiculous. As this player is only attacking you once every 2-3 days, it's well within the expected parameters. Please note that you are also permitted to attack a network that you have previously attacked. All networks are prevented from being searched for 3 hours after receiving a successful attack. After that time has elapsed, the network is open to attack from any player that searches for it, including the previous attacker. Lum that would only be un-resonable if the retrace buttion gave you a number of hit that guy attacks rather than just one , I can confirm how iritating it is to get hit by the same guy over and over again yet I can never search him out and my hack logs in total give one retrace. 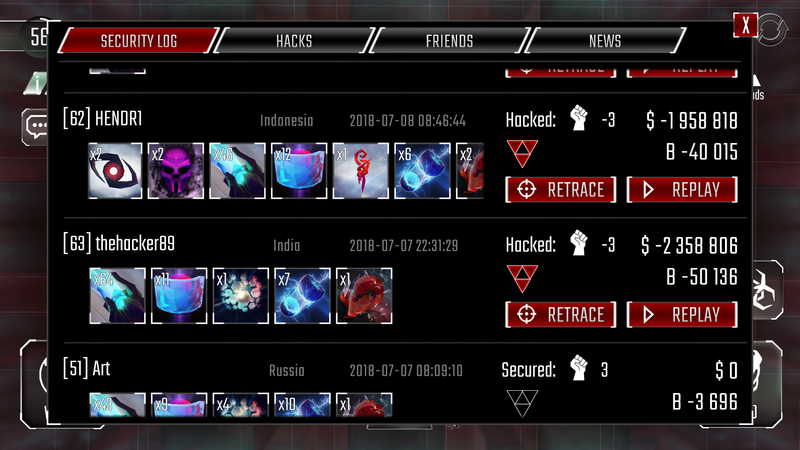 Mchief wrote: I can confirm how iritating it is to get hit by the same guy over and over again yet I can never search him out and my hack logs in total give one retrace. Retraces from the same player disappearing once a retrace has been used is by design for the moment. The reason for this is simple - the attacker has a 3 hour delay before having a chance at finding the same network, but there is no delay when using a retrace. As retraces can be kept for 7 days, we don't want to allow players to use a weeks worth of retraces against the same player in an hour! While I sympathise with it from the defender's perspective and not always being able to retaliate against every attack, consider it from both sides. Players currently don't like it when the same player attacks them once every 24 hours - imagine what it would be like if other players were allowed to save up a weeks worth of retraces to use against you in a much shorter period of time! Having retraces on a cooldown instead of disappearing from the security log is on the suggestion list for the future. Sorry Lum but thats (at least from my perspective) still a little shaky. Players should never be able to hide behind rules for actions they themselfs cause . Especially when Said actions result in a transfer of resources. 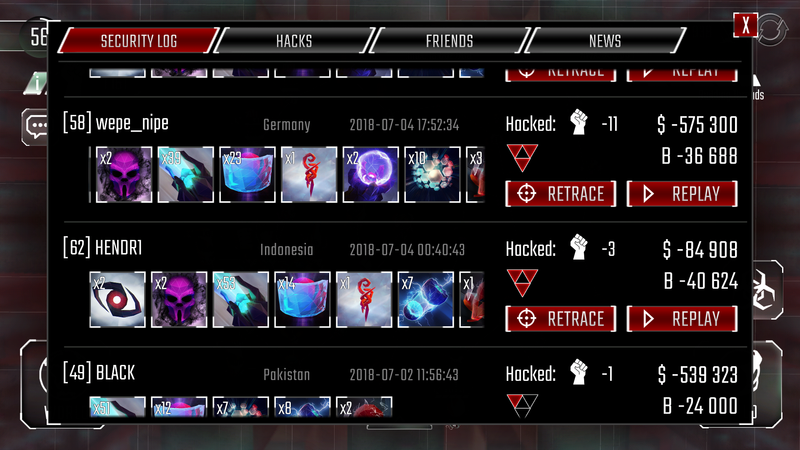 If a player hacks another player more than once the hacked player should have that many attempts at retribution. And the hacker should be expecting it. If the search just gave you a list of all your possible tagets rather than just 5 I would say ok but even I have noticed that <insert player name here> can pop up many times after I have hit them . That said if it would cause to much issues to change the current setup why not add a reduction to the amount of resources a player can grab on each attempt where more than two results in a significant decrease to the point of not worth it? 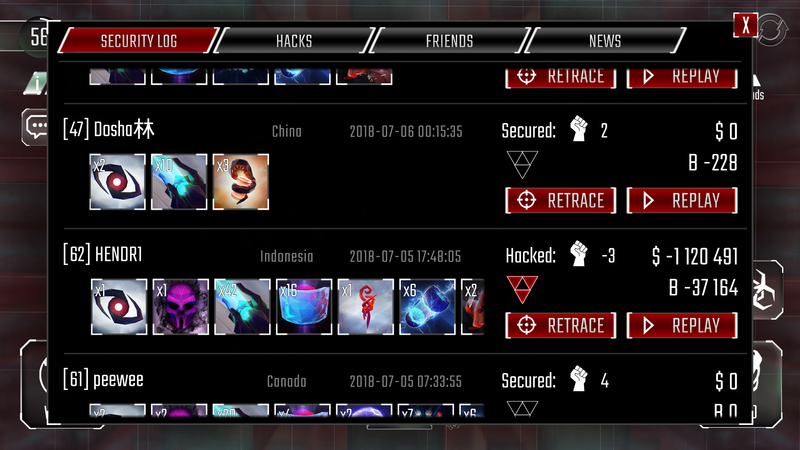 Mchief wrote: If a player hacks another player more than once the hacked player should have that many attempts at retribution. And the hacker should be expecting it. Players are able to retrace once for each attack, as long as the retrace is made before a subsequent hack occurs. 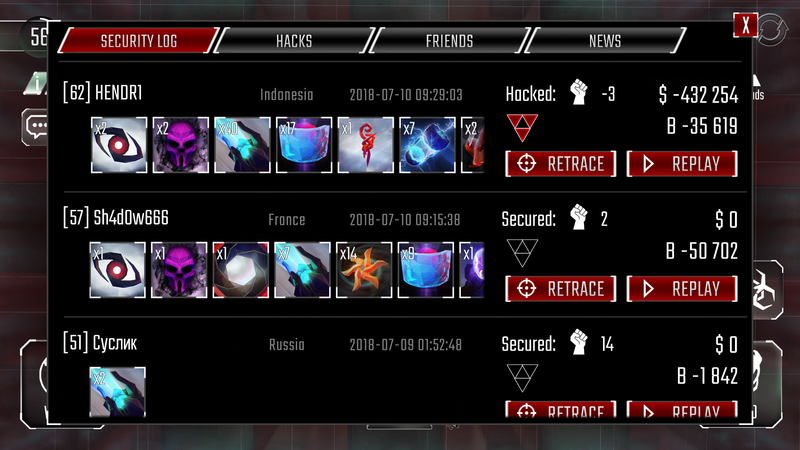 While I understand that this is not always possible due to factors such as time zones, varying length play sessions across players and people requiring more than 3 hours sleep a night etc, retribution against the same player can still be found via the search as you mentioned - for both the attacker and defender - instead of relying on a direct retrace. A retrace is not the only way of getting revenge. Retraces have their own rules, and as such differ from the search rules. Retraces provide additional targets for free, above and beyond the 5 that are "paid" for via the search. In addition to this, retraces will bypass the 3-hour protection that search has, allowing you to attack a player twice in succession by finding them on the map and then retracing a previous attack - something that the standard target search wouldn't allow. Due to their being no cooldown when using retraces - as well as allowing retraces to bypass the search filter - retraces have to be limited in some way to prevent abuse. As players are also able to seek retribution by finding that player again on the search, removing any duplicate retraces was deemed the best option during design. Note also that finding an attacking a player via search that you have an active retrace for will not remove the retrace. Having different values for different previous attackers would be pretty arbitrary. While I can see why it's preferable against repeated attackers from a personal perspective, there's no logical reason why a previous attacker is prevented from looting the same as any other attacker. As for alternatives, such as preventing a player from appearing as a target if their was an active retrace available (for example), this would not be possible due to the search calulation being unable to look at previous attacks that have taken place. Similar to the request for players wishing to prevent their Facebook friends from showing up in search, individually tailored search parameters/results for every single network are not feasible - the search has to work the same for everyone.